Measles in San Francisco: LinkedIn employee rode BART for three days while contagious. San Francisco commuters have been riding the measles train. Public health officials in San Francisco are warning residents that an adult with a confirmed case of measles rode Bay Area Rapid Transit (BART) trains through two counties while contagious last week, during which the disease could have been passed to a large number of other commuters, Reuters reports. That ride is 35 minutes long, but health officials said the highly infectious, airborne virus could have remained in the air for up to two hours. 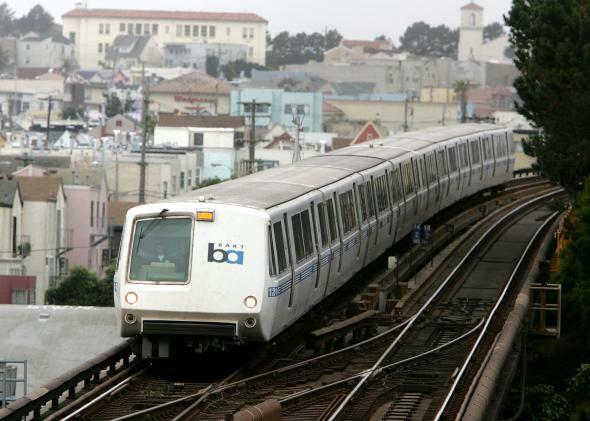 Because BART cars circulate throughout the Bay area, tens of thousands of people could have potentially been exposed, [BART spokeswoman Alicia] Trost said. The infected rider, who was not identified by name, age or gender, also spent time at the E&O Kitchen and Bar in San Francisco on Wednesday evening, potentially exposing others who were in the restaurant between 5:30 p.m. and 7 p.m., health officials said. LinkedIn released a statement Wednesday confirming that the infected person works in the company’s office on Second Street in San Francisco. Erika Jenssen, Contra Costa county’s infectious disease chief, told Reuters that “measles has been circulating in the Bay Area” but that the source of the BART rider’s infection is not yet known. The disease’s symptom-free incubation period can last from seven to 21 days, so it might be a few weeks before co-workers and fellow commuters are sure they’re out of the woods. The national outbreak of measles continues to spark public policy debates across California, where school districts are faced with rising numbers of unvaccinated students and legislators are considering scrapping personal and religious exemptions to vaccination requirements.